The EU has said it would not renegotiate the backstop, which is a pillar of the withdrawal agreement. 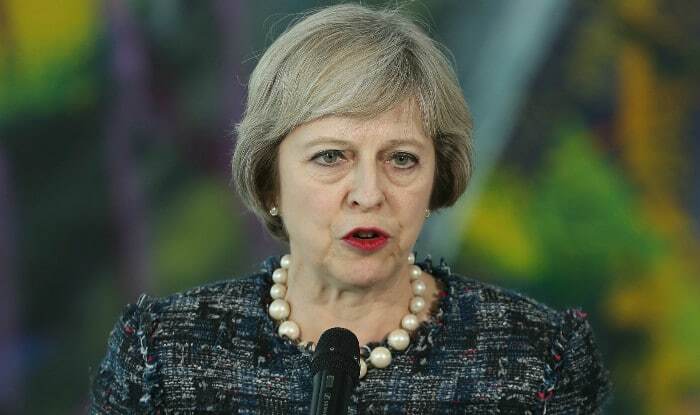 London: British Prime Minister Theresa May is set to mediate between pro-Brexit and pro-European party members to shore up support for her deal on the United Kingdom’s withdrawal from the European Union (EU). She will also try to resolve the ongoing wrangle on how to ensure no return to a hard border between the Republic of Ireland and Northern Ireland, Downing Street announced on Monday. The Alternative Arrangements Working Group (AAWG), a new initiative made up of pro-remain Conservatives and members of the European Research Group (ERG), a group of lawmakers who lobby for a harder Brexit, was set to meet May for the first time on Monday to flesh out alternatives to the backstop, the insurance policy designed to maintain a soft border in Ireland should future talks with the EU collapse, Efe news agency reported on Monday. A Downing Street spokesperson said Brexit Secretary Stephen Barclay would be meeting the AAWG regularly, with two further meetings already penciled in for the week. Pro-Brexit Conservative Party members, such as deputy chair of the ERG Steve Baker, former secretary of state for Northern Ireland Owen Paterson and MP Marcus Fysh, were some of the leaders expected at Downing Street for Monday’s meeting, the spokesperson added. Nicky Morgan and Damian Green, who represent the pro-EU branch of the Conservatives, would also attend the meeting. May now needs the support of both eurosceptic and pro-remain Tory rebels as well as the backing of lawmakers from the Northern Irish DUP party, which props up her minority government, if she wants her Brexit deal to get through the House of Commons, the lower chamber of Parliament. On January 15, her withdrawal deal was overwhelmingly voted down by lawmakers. On January 29, the House of Commons narrowly backed an amendment tabled by Conservative MP Graham Brady that would see the Prime Minister return to Brussels in search of alternative arrangements for the Irish backstop, whose current terms and conditions have proved unpopular with pro-Brexit Tories and the DUP. The Malthouse compromise, named after housing minister Kit Malthouse, who signed the proposed amendment, would scrap the backstop in favour of a free-trade agreement and argues it is possible to use technology when dealing with customs on the Irish border. It further outlines an extension of the transition period, once the UK leaves the European bloc, until December 2021, during which the UK would continue to pay its contributions to the EU. Brussels has cast doubt on the feasibility of this amendment, too. May is to return to Brussels this week to present backstop alternatives in an attempt to overcome the Brexit impasse. These include the initiatives outlined in the Malthouse compromise. backstop or granting the UK rights to unilaterally withdraw from it.